A rule guide of what South African schools' policies say about the use of cellphones during the hours spent at school and at home. Back in 1999, the American Academy of Pediatrics suggested that parents limit how much time their kids spend on smartphones, tablets, computers and TV. They also recommended that children under two completely avoid any screen time at all. By 2016 they adjusted their suggestions slightly, expanding their policies to include ‘positive’ digital media use such as e-learning, but there are still limits. However, as any parent will know, it is so very tempting to switch on the TV or hand over the iPad and get on with dinner. Some schools know this and so they have formulated official electronic media policies aimed at preventing the overuse of screen time, which they believe negatively impacts a child’s development. All children have an innate imaginative capacity and their natural state is to be active in this. As they do so, it is a capacity, which is usually lost or transformed, never to be re-lived in the same way. The effect of TV, videos and/or computer games is to make children unhealthily ‘still’ and stifle their own imaginations. By presenting the child with ‘finished’ images, the child is required to do no inner work (or active play) at all and their imagination is ‘disabled’ while watching. Afterwards, this can result in listlessness, lack of initiative and boredom; children may need to be constantly entertained. Their official policy requests that children attending kindergarten do not watch TV from Sunday to Thursday and that they should definitely not watch TV in the mornings before coming to school. They maintain that an experienced Waldorf teacher can tell almost immediately by a child’s behaviour whether he or she has been watching TV or playing computer games. 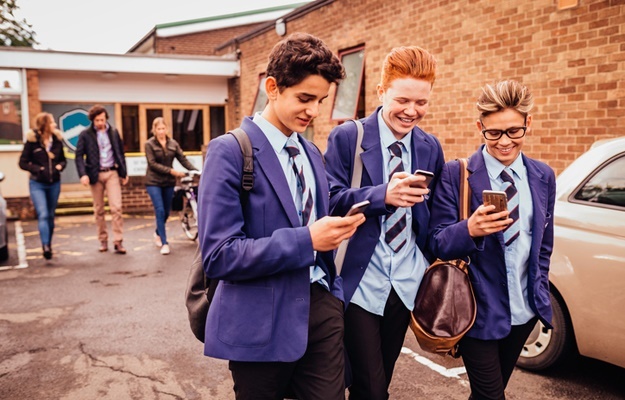 The Kairos schooling system believes that the impact of TV, computer and cell phones on children today is far more negative than even a decade ago, as there is a widespread phenomenon of signs of addictive tendencies at this very young age. No TV or gaming before school, or after supper. A maximum of 30 minutes of “screen time” (total digital input) during the afternoon Monday to Thursday, excluding research tasks for the older children (Grades 3 and up). Two hours of any electronic media per day, Friday to Sunday, stopping by Sunday 2 pm. Establishing ‘screen-free’ times of day (e.g. during family meals). Creating rules about which sites can be accessed or when. The Maara House policy includes the directive that there is no screen time at least 30 minutes before bed, and they strongly discourage screen time during play dates. Dr Jenny Radesky says, "What's most important is that parents be their child's 'media mentor'. That means teaching them how to use it as a tool to create, connect and learn." Montessori teacher Jennifer Rogers feels strongly that children are exposed to too much screen time. “The Mayo Clinic’s available information for parents acknowledges a lack of definitive research, but links too much screen time to behavioural problems, irregular sleep, poor academic performance and, most convincingly, obesity,” she told Parent24. The Montessori system does not introduce computers into the Early Childhood curriculum at all. In the Elementary program, computers are used as a tool for research. Later, children are taught internet safety, what they can do to protect themselves and what is appropriate. The Montessori screen time standpoint very much aligns with the Montessori teaching method itself: Freedom within limits. Do not keep a TV set in a child’s room. Set time limitations on age-appropriate screen-based activities. Encourage children to engage in outdoor activities. The 2016 Discovery Healthy Active Kids Report revealed that South African children watch TV for an average of 3 hours and day, with significant numbers watching 5 hours a day. Therefore setting screen-time limits can only be a good thing, regardless of the type of schooling system you choose for your family. What are your thoughts on screen time policies in South African schools? Email us at chatback@parent24.com and we may publish your comments.